Happy Thanksgiving Minnesota Twins Fans! 2) New Twins Jerseys, can't wait for fan versions!! 5) TARGET FIELD! Can not wait of outdoor Twins Baseball! With Thanksgiving right around the corner, its hard to think about baseball more than football but Twins Fans should be excited because we are just 143 days away from the opening of Target Field and the start of the home season for the Minnesota Twins. So this week, while college football comes to a close and some of the best NFL teams get ready to duke it out on Thanksgiving get ready to Twins Baseball at the Target Field! Despite being months away Target Field Tickets are some of the hardest to come by, if you are thinking about giving Twins Tickets for Holiday Gifts you better be buying now! In case you have been living under a rock, the Minnesota Twins are building a new stadium, Target Field and will be debuting their new home at their 2010 Twins Home Opener... the opening Twins Schedule weekend is great. 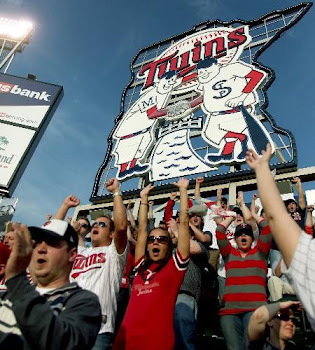 Twins Tickets for these games are the hottest buys in Twin Cities sports right now, so don't miss out on getting these games on your calendar! Who starts a Minnesota Twins baseball blog in the off-season? A CRAZY PERSON says my baseball loving father who couldn't type a blog entry if you paid him - so I take his comment with a grain of salt. I realize the World Series just got over (stupid Yankees!) 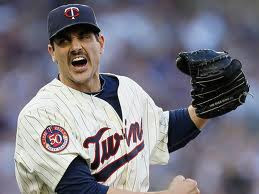 and that there won't be much to report such as game Twins game reviews or previews, but I am excited for the Twins to be playing at Target Field Minneapolis and I figured it was time to start a little Twins Baseball Blog to give out my Twins Baseball Love. Check back often and comment me! Go Twins!